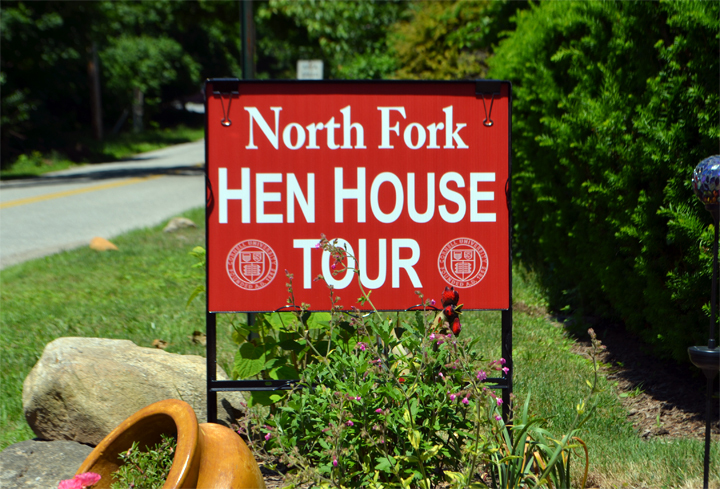 Since Chickapalooza, I had been counting down the days to attend the North Fork Hen House Tour that was held on Saturday, June 15th, sponsored by Cornell University’s Long Island Horticultural & Research Extension Center. As my husband Chris hammered away on our upcoming home Sheridan Green, my father and I went on the self-guided tour that spanned from Yaphank, New York to Southold, New York. 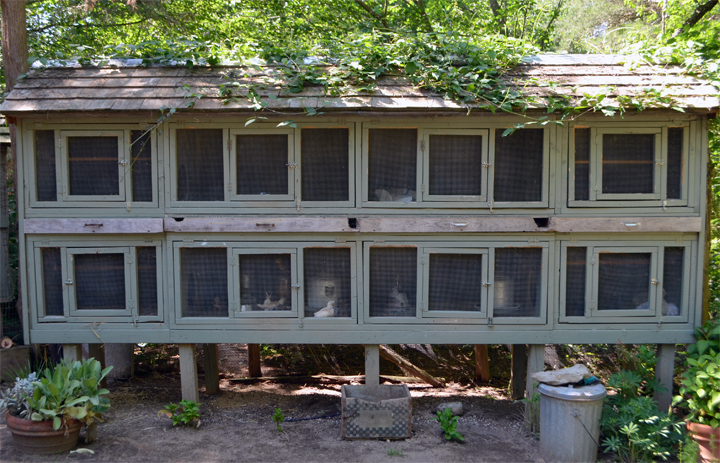 The fifteen locations on the tour ranged from: farms, gardens, bed and breakfasts, stores and residential homes—each one had something to crow about when it came to chicken coops. At Sheridan Green we are planning on having backyard chickens for eggs, so the focus of our tour was residential homes with hen houses. 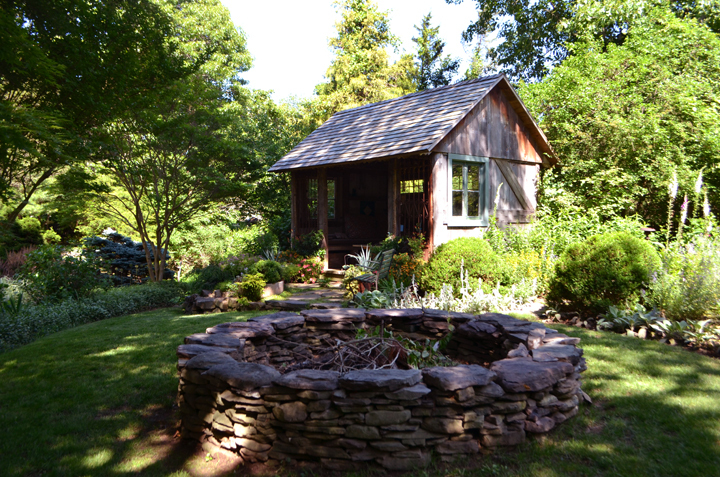 Sandra and Carl renovated part of their backyard shed into a hen house three years ago. The chicken coop has an outside wire enclosed run area for the chickens to roam freely. In the evening, a few hours before the sun sets the chickens free-range the property which has helped to keep the ticks at bay. The tick situation out east on Long Island is the worst it has ever been; not only do chickens and guinea hens provide fresh eggs everyday, but also can contribute to your tick prevention program. The couple has been transforming their property into a backyard sanctuary with beautiful flowers for pollinators and a vegetable garden that will provide sustenance for most of the year. 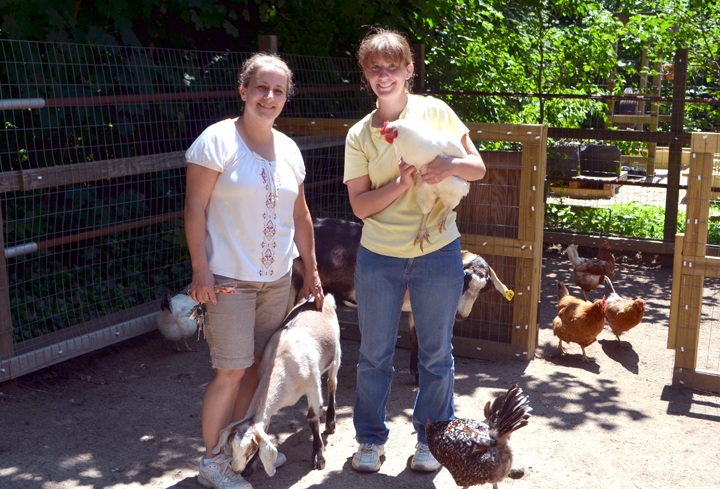 Sandy Gardner and her daughter Amanda are both passionate about chickens and goats. The original horse barn was converted into a chicken and goat house; chickens on one side and goats on the other. The chickens provide eggs and recently Sandy has begun milking the goats to try her hand at making a variety of cheese. There is an ample amount of space for the 20 hens, with wooden baskets filled with hay for chicken lounging and large nesting boxes for egg laying. 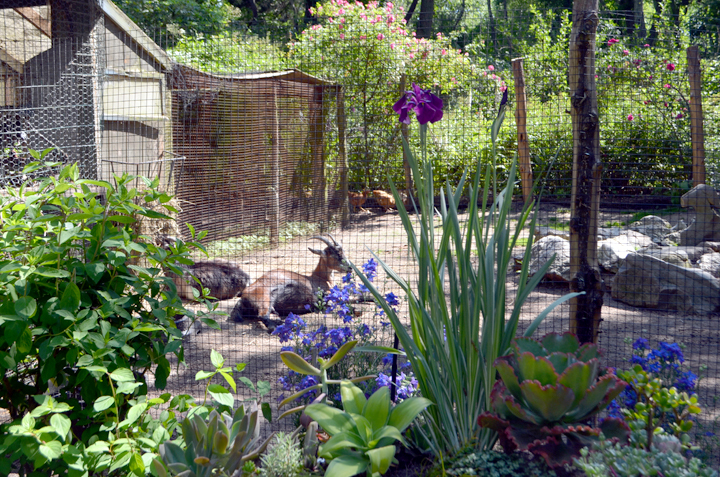 The outside run area is a shared space for the goats and chickens to roam and adjacent to the barn is a large garden. This property is a great example on how to produce your own food and make your property work for you. Something that we aspire to at Sheridan Green. Dr. Mark Bridgen, Professor and Director of the Long Island Horticultural Research and Extension Center at Cornell University led the seminar for Chickapalooza at the Garden of Eve Organic Farm and Market this past April. He has been raising his own chickens for more than 25 years and is an authority on the care and management of chickens at the home. The Bridgen Hen house was built last year and includes a green roof as well as a small solar panel for a light bulb. Three breeds of chickens reside here: Ameraucanas, Barred Rocks and Brahmas which lay blue and green eggs. The coop has an easy-access nesting box on the outside and a small storage shed on one side to store food and supplies. Mark provided a sheet of deer-resistant plants that I was thrilled to obtain considering Sheridan Green is located in Hampton Bays/Red Creek area where the deer are most prolific; hence why we created a rooftop garden above the carport. 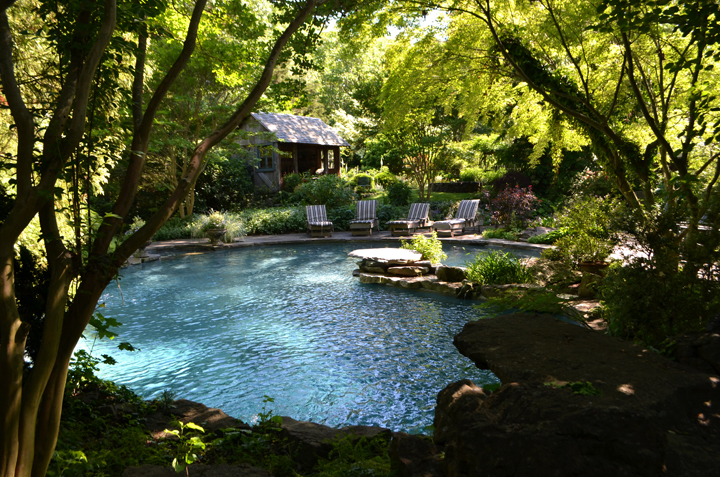 The property of Connie Cross was magical, a true fairy tale of multiple chickens, fowl and goats living within a forest amongst the most beautiful gardens you have ever seen. This was a jaw dropping experience; a village of roosters and hens of every kind, and goats lounging about as if they were being fed grapes by hand. You have to see it to believe it. Unfortunately, Connie was not there to give us a tour so we meandered around the property in complete awe. Connie Cross is a renowned gardener and owns Environmentals Nursery that is a wholesale supplier of fine plant materials to garden centers, growers and landscapers all over the east coast and beyond. There were two bed and breakfasts on our list to visit: Andrew’s Legacy and The Farmhouse; both places were in Cutchogue. We did not have enough time to visit with them, however I am hoping to fulfill my hen house tour bucket list in the near future. Maybe next year there will be a South Fork Tour de Coop and you will see Sheridan Green Hen House as one of your stops along the way.